My son starts school in September, which means that henceforth, my wife and I will have to pay those inflated school holiday prices whenever we go abroad. So, this being our final year of getting “that cheaper deal”, we decided on going to the Hard Rock Hotel in Tenerife. It has it all: the fabulous pools, a few footballer celebrities that I recognise, Danny Boyle, and probably the best background music scene any music lover would die for. And to boot, we have some very similar minded guests, amongst a few of whom it was not long until football became the hot topic of conversation. One gent I spoke to grew up in Southampton, and went to the Dell for a decade before moving away and becoming a fully-fledged Newcastle United supporter. We spoke a bit about AFC Wimbledon and our history (he knew a lot about the rebirth, the prospective move to Plough Lane, and that we play at “Kingstonian’s old ground”), and we discussed, as is often the case when you meet a supporter of a Premier League team, a lot about their relegation, Rafa Benitez staying, and their subsequent promotion. So with that, I decided to look at the differences in attendances between Championship and League One clubs – using my German eyes, not those blighted by bias for my beloved AFC Wimbledon – because, as we all know and must believe, matchday attendances bear the true nature of a club’s support. With Newcastle averaging around 51,000 through the turnstiles last season, and Burton attracting around 5,200 for a home game – mainly due to their tiny ground – the average attendance in the Championship came to 20,119. In League One, Sheffield United led the way on 21,800, whilst Fleetwood’s 3,300 average propped up the table, culminating in an average of 7,900 attendees across the division. That’s an average difference of almost 300 per cent between the divisions, adding more weight to the claim that there is a gulf in size between clubs in League One and the Championship, at least in terms of paying spectators. The revenues from the FA and ‘trickle down monies’ from the Premier League & live TV bonuses – discussed here by Nick Draper – are other factors, but I shall not and want not to discuss that side of the coin just now. Now, there is an argument that ‘Blackburn is too big a club to be in League One’ being touted on occasion, and if history and size of the stadium is taken into account, I can fully support that point of view. However, due to recent history and bad off-field management, they fully deserve to be in the third tier. Ergo, they must forfeit the right for higher attendances and find their funding through a sugar daddy – and we all know how attendances can have a major influence on financing players or wages or transfer fees. Especially in the lower leagues. So let us talk about ‘Little ol’ Wimbledon’ in this context. We averaged a crowd of 4,450 last season. Our capacity is 4,850. That is a great percentage of maximum capacity to have. The new stadium in Plough Lane will have an initial 9,000 or 11,000 capacity, depending on which reports you like to believe, with scope to increase to 20,000, but all we can do is base our projections of attendance at the new stadium with the current figures from Kingsmeadow. And therein lies the rub, as the bard would tell us: they are projected. Some are saying we will probably average around 7,000 fans if we are in League One, 5,000 if we are in League Two, and we would probably sell out if we are in the Championship when we move back home. I tend to agree with those numbers, give or take a thousand, and that still puts is in good stead for whatever division we are in. However, to go back to the initial argument, put forward by that South Coast Gentleman put: the teams in League One ARE small clubs, compared to the likes of his team and their 51,000 average attendance. But for us 4,500 punters, the League One attendance table looks quite daunting. Quite daunting, that is, until we look at what Neal and his team achieve every season, and realise that the adage of “punching above your weight” is actually quite apt. Until we get that new freaking stadium, of course. Can someone point me towards that wrecking ball? Because we’re very very nice people here on the podcast, and whilst some of us have nothing better to do, nor are enjoying the sweltering temperatures – *cough* – of Tenerife and Barcelona, we have produced a not-too-shabby 2017-18 AFC Wimbledon League One fixture list that can sit on the lock screen of your iPhone. Tell all your friends, co-workers, gardeners, dogs, and parole officers all about it~! To download, simply click the link to your right, and save to your phone~! It is typical that the biggest clubs in the country, long detached from the lives of the people who support them, are edging ever closer to their European rivals at the same time the nation awaits its independence from its continental counterparts. The desire of last season’s top six teams to take a greater share of the Premier League’s television revenue continues to be subdued by their fellow top flight clubs, who are vaunted for their stance. But with English clubs’ performances continuing to decline in the Champions League, the owners of those six clubs will not tolerate the status quo for much longer. And as competition within Europe’s other top leagues continues to deteriorate, and as TV companies scramble to find ways to boost flagging viewing figures, the outcome, which many have expected for decades, seems inevitable. But whilst common opinion has always been opposed to the idea of a European ‘Super League’, clubs in the Football League should perhaps start to consider how beneficial the disappearance of the nation’s largest sides could be – and the evidence is already starting to mount. Over the last two seasons, stadium attendance in all three divisions of the Football League has risen. League Two may have noticed a modest 1.5 per cent increase, but with rises of 12.7 per cent each, League One and The Championship have experienced somewhat of a boom period. Of course, the relegations of Aston Villa and Newcastle have impacted these figures, but these increases are not to be ignored. Television has made elite-level football more accessible than ever before, but the desire to attend games on a Saturday afternoon remains as fierce as it always has been. And for Premier League clubs, those three o’clock kick-offs will soon be rarer than a full stadium in Milton Keynes. The current broadcast contract allows for 168 live games a season – at a cost of £5.136bn to Sky and BT Sports. However, viewership as a whole dropped: 14 per cent for Sky; 2 per cent for BT. 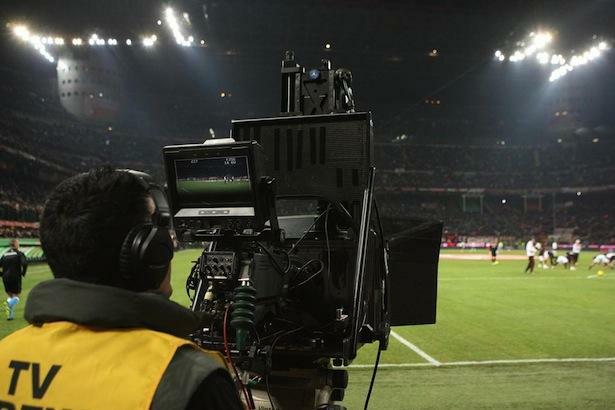 So in an effort to ensure the two broadcasters continue to invest such huge sums, clubs are proposing allowing over 200 games to be screened live when the new contract begins in 2019. That leaves less than half of all games to be scheduled for Saturday 3pm – and that figure will be further diminished by midweek games and Europa League rescheduling. With viewing numbers falling so sharply, the broadcasters have, naturally, looked for ways to ensure they can afford the product, with the loss of the contract not an option, particularly for Sky, who will not want to suffer the embarrassment of letting slip their hold of the competition they have helped build since 1992. The only way to keep those figures up is to offer more and more games to international viewers, at times more convenient to them. Saturday evenings and early Sunday mornings are another inevitability, to exploit the Asian and Australian markets, with the former also attempting to steal a share of the UK peak-time audience. It’s a tactic that the biggest clubs in Spain have already started to take advantage of, with Real Madrid and Barcelona experimenting with 12.30 or 10pm starts. And it is this that forms the crux of the issue for the ‘Big Six’. It is currently estimated that international rights rake in £3bn of revenue for the Premier League. The argument, pushed chiefly by Liverpool and Manchester City – but supported by Manchester United, Arsenal, Tottenham, and Chelsea – is that their popularity is the key generator behind that revenue, and that they should have a greater share. For those clubs, it is the only way to compete with their Spanish rivals, who have won six of the last 10 Champions League finals between them. But the Premier League’s collective bargaining deal will restrict them from doing so, and with Sky wanting to ensure they can continue to profit from subscribers, a breakaway European League seems the only solution for the biggest players in the market to get exactly what they want. Why should the Football League celebrate this? There are many problems that would have to be resolved which have the potential to have a negative impact – the fate of the FA Cup, for one. However, with attendances already on the rise, EFL clubs could be taking advantage of a surge through the turnstiles from 2019, when for many top flight fans, Sunday morning away games become unattainable. On top of that, the increased cost of pay TV channels could also convince fans to head to their local club for their weekend football fix – especially with many freezing and even reducing ticket prices, with a notable increase in matchday turnouts because of that, most famously at Bradford City. Any departure for the top clubs to a breakaway league would likely need a lot of negotiation, akin to – but hopefully nowhere near as laborious as – our beloved Brexit. For example, whilst a rise in ticket sales would be beneficial, it would be negated if the cash that trickles down from the top division, however negligible many believe it to be, was not protected. Yet in the age of globalisation, numbers wanting to connect with people at a local, community level is burgeoning. A more competitive top division, free from the stranglehold of half a dozen clubs, would do wonders for clubs seeking greater engagement from their local population. For ourselves, with a new stadium on the horizon, the potential is huge. For so long we have resisted reform, but perhaps a change at the top will ensure life for us remains how we would like it to be. It’s just a question of whether the rest of Europe’s elite clubs elect not to remain with the status quo, and instead leave their nations behind. I can’t speak for those countries, but I’m not sure English football would be too sorry to see our top clubs go. We’d remain strong and stable without them, and I’m sure the benefits would be felt by the many – not just the few. Tom Elliott typified what Wimbledon fans look for in a player. Strong, honest, hard-working and affable, we should be proud and humble to have had him at our club – not downhearted that he has decided to move on. Indeed, despite Tom being voted Player of the Year by supporters – who also urged him to sign a new contract as he collected said award – his exit will not weaken the first-team whatsoever. In fact, it is likely to strengthen us as we enter our difficult second season in League One. This is not to detract from or diminish his achievements during the last campaign, or his importance to us in maintaining our position in the third tier. But aside from a purple-patch of form between October last year and January this, the quality of Tom’s performances over the course of his two seasons with the club was inconsistent, and our desire to build around him rendered us predictable, inflexible, and ineffectual for most of the second-half of our League One campaign. Having left Leeds in 2011, and struggled at a number of clubs, including Hamilton Academical during a short spell with the Scottish Premier League side, Tom found his feet – and enjoyed his most prolific spell – with Cambridge United, in the Conference. He finished the 2012-13 season as the club’s top goal-scorer, netting once every two games, before fitness problems disrupted his form over the next couple of years. 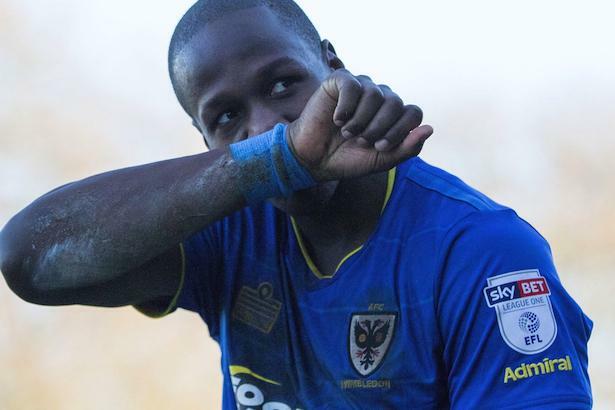 Eight goals during United’s first season back in the Football League encouraged Neal Ardley to bring him to Kingsmeadow as one of four strikers in the squad – most likely with a view to rotating him with Adebayo Akinfenwa in the role of target man. As the season unfolded, Elliott was often Ardley’s pick in the starting line-up, but his contributions were limited – the last of his six League Two goals coming in a 3-2 defeat to Yeovil in January. Akinfenwa, meanwhile, began to exert his influence on the squad as the season wore on, and played a vital role in not only earning us a place in the play-offs, but winning them as well. His performances over the entirety of the campaign had been much-maligned, but Akinfenwa’s season total of six goals was equal to that of Elliott’s – even though both registered on the score-sheet fewer times than another much-maligned forward, Adebayo Azeez. The anaemic nature of Tom’s performances led many to believe that he would struggle in League One, and that fear seemed to be being realised over the first 10 games of the season, with Elliott and new signing Tyrone Barnett interchangeable alongside Lyle Taylor in a staid 442 line-up. But a switch to 433 in late September changed Tom’s, and the team’s, fortunes. Away wins at Oxford, Bury, and Peterborough saw the Dons playing their best football of the season, with Taylor and Andy Barcham flourishing alongside the big man upfront. Whilst Elliott dominated both centre-halves in the air, his two partners exploited space out wide and in-behind the opposition, which allowed the Dons midfield to push high up the pitch also. Teams were unable to counter the fluid nature of the team in that period, and another play-off push was not out of the question, especially with Dom Poleon slotting comfortably into the system when required. However, the key to the success of that system was dependent on Elliott winning his battles. And just before Christmas, once teams figured out how to nullify his threat, Tom’s impact became marginalised – and the team suffered. Unable to win his aerial duels, his lack of pace, and surprisingly poor ability with his back to goal, were accentuated. Worryingly, we did not seem confident to change plans from what had been working so well for us before, and so became almost obsessed with directing our attacking play through Tom, to the visible frustration of some of his teammates. Occasionally, it paid dividends – Bolton away, for example – but for the most part, it hampered us. Tom’s late equaliser at home to Charlton was born more out of persistence than quality, and the subsequent draw with Coventry – for which Elliott was suspended – exhibited the tactical rigidity we had succumbed to: if Tom was not there, we did not change style, only personnel. 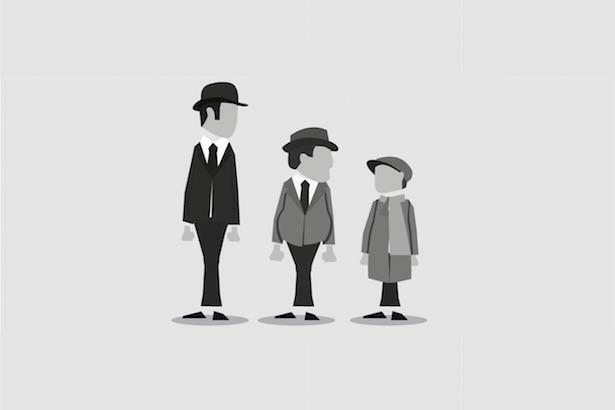 We had become so one-dimensional that the team lacked ideas, imagination, or invention. After the turn of the new year, we managed just five wins – and Tom failed to score in any of them. So instead of being fearful of the impact Elliott’s departure will have on the team, we must take advantage of his leaving, and re-evaluate how we will tackle League One next year. We have to reassess how to get the best out of our most productive attacking players – namely Poleon and Taylor, who were as and more prolific than Elliott respectively last year – and instil a flexibility in our players that avoids prescribing them with a complacent, routine game-plan. This does not mean we forget the contribution Tom made for us, nor that he is an upstanding individual, as the podcast team discovered whilst working with him in the latter part of the season, during which time he proved himself a true gentleman and perfect ambassador for the club. But had he not decided to chance his arm with Millwall – and the club offered him a new contract, remember – we’d have likely slept-walked into keeping calm and carrying on as before, almost certainly into a scrap to avoid relegation. We can feel sad that such a character is no longer a part of our family, but we must welcome the opportunity to make ourselves stronger, and more stable, without him. The signing of Kwesi Appiah is the first step: his touch and movement, allied with the pace of Barcham and goals that Lyle guarantees, should make us forget what has been, and get us excited by what is to come.